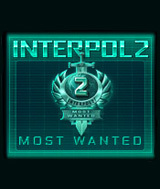 Follow clues around the world to seek out and apprehend Interpol´s most wanted criminals. Join the elite International Criminal Police Organization and keep the world safe from cunning criminals and dangerous terrorists. Uncover clues buried in exciting and exotic locations from around the world. There will be nowhere to hide for the agents of evil with you at the vanguard of the world´s greatest international police force. The long awaited sequel to the #1 hit has arrived. Comments: This is a pretty typical hidden object game linked together with segues to give some sequence and continuity. In addition to hidden objects, there are some where you have to find differences between two pictures or ten of the same type of thing hidden. My main complaint is one I have with nearly all hidden object games that have a plot. The object hidden have no logical connection to the story line. For example, toward the end of this adventure, you are told that enemy spies have hidden objects in the agency HQ that are rigged to explode. The are supposed to be objects found in other levels of the adveture. But some of the objects hidden are things like letters or numbers printed on things. No way for there to be a bomb in these. In another case, you are told an enemy agent has been spotted in a building and are sent in to find that "rat." But then you have to find ten different pictures of rodents, which includes some computer mouse devices. I'd like a mystery hidden adventure game where the objects found are actually useful and reasonable things a person might find in the scenario, not just whatever random objects the developers decided to throw in. Comments: Fun game. Objects well hidden.